Once the beating heart of the urban community, you only have to scan the news headlines of recent weeks to know that the British high street is struggling to survive, with declining footfall and big names running into trouble, the latest being HMV who called in administrators shortly after Christmas. However, Liverpool’s high street is bucking trends, with footfall up for three consecutive years and some major new openings and investment in the pipeline, including the world’s largest Lush store on Church Street. Footfall for 2018 was 2.4% up on the previous year, representing three years of consecutive growth. Liverpool BID Company, which represents and champions the voice of retailers in the city and who compiled the figures, believe the diverse and evolving nature of the city’s retail and leisure offer, from the independent retailers on Bold Street, to the national brands of Church Street, St Johns Shopping Centre, Clayton Square, Whitechapel and Williamson Square, and the boutique shops at Metquarter, is what is keeping people coming back into the city centre. It also attributes an annual programme of events and animation within its Retail & Leisure BID area. “These figures come despite growing competition from online shopping, and during a year when retailers and shoppers experienced transport disruption including the closure of Lime Street station and strike action affecting both our bus and train networks. The figures endorse the work we are doing to attract more people into the city centre, but also demonstrates the resilience of our levy paying businesses. Back in Liverpool, despite some big name closures such as BHS on Lord Street (now occupied by a new flagship H&M store) and Maplin, there is much to be positive about. The new Lush store will open this year in the former Dorothy Perkins building, while ongoing investment has welcomed new brands to Metquarter, including the UK’s largest independent retailer for kids clothing, Kids Cavern, and the boutique cinema chain, Everyman. Metquarter has strengthened its promise to reposition the centre as the ‘go-to’ destination for premium shops, cafes and restaurant brands, and in 2019 will see independent designer clothing store, Cricket, open its flagship boutique, completion on HUGO BOSS’ expansion, as well as many more exciting announcements and openings across high-quality fashion and food and drink. “We’re absolutely thrilled to bring such iconic and much-loved brands to Metquarter. Adding to a strong stable of independent and luxury brands, our shoppers will now have even more choice when looking for bespoke and statement pieces or simply wanting to spend time with family and friends. St Johns Shopping Centre also defied the national slump on the high street in 2018 to show an increase in shoppers and revenue, including an extra £1 million worth of pre-Christmas sales in December. The centre welcomed 13 million shoppers over the year, up more than 400,000 on 2017 and a rise of 2% in footfall. While UK retailers struggled to keep pace with online competition, St Johns outperformed the national figures with a 1% increase in sales. And the centre’s car park also had its busiest year in a decade. “The results for 2018 demonstrated that the centre’s commitment to customer service, alongside its blend of big name brands and independents, was a successful formula. “This has been a really positive and encouraging year for St Johns with significant increases in footfall and sales,” he said. 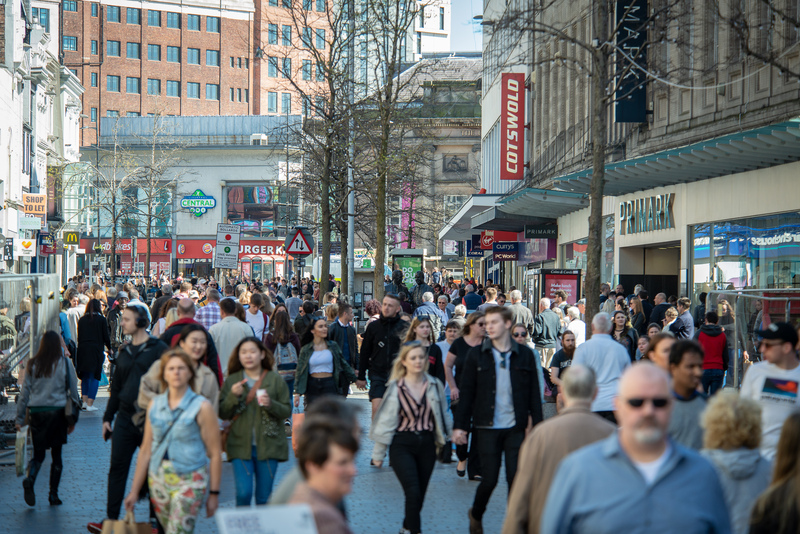 “Across the UK there has been 12 consecutive months of footfall decline, but we not only attracted more shoppers, they stayed for longer which shows they appreciate what we’re offering. 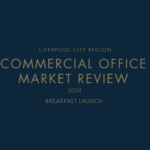 The leisure and hospitality sector is also playing its part on the new success story of Liverpool’s high street with hotels and leisure operators investing in the area. It was recently announced that Australian hotel chain Quest plan to open its first hotel in the UK on Church Street – representing a £10m investment, plus the planned expansion of the Magical Beatles Museum on Mathew Street. Clayton Square is also set to welcome Lane7 – a high-end, bowling alley and dining venue, in 2019. 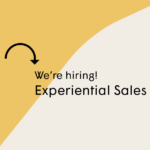 Another component of Liverpool’s high street resilience is the importance of customer service and there has been a lot of work done improving customer service standards in recent years by the BID, in particular, customer-facing roles, which have suffered from a poor level of experience from potential candidates at entry level. This has led to improved customer service and brand success – as demonstrated at the BID’s annual Mystery Shop Awards, which aims to raise standards across the sector by offering businesses constructive feedback and training packages to up-skill employees. 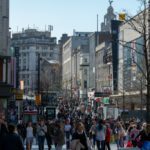 “It is a difficult time for high streets nationally – and while footfall in Liverpool grows, we will not rest on our laurels. The high street needs to evolve to survive and we will do our part by continuing to deliver on the £5m masterplan improving the trading environment for our levy paying businesses in Liverpool city centre. “First and foremost it is the BID’s priority to continue to work with our levy payers and partners at city council and Merseyside Police to ensure the city centre is clean and safe, so it is not only attractive to visitors and residents but to potential investors as well. Simply put, we will make sure the city centre is a place people want to be. 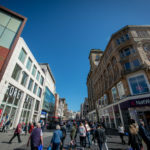 “We are working with our levy payers and all sectors of the community to think of how we can continue to increase the attractiveness of our high street with activations like our annual Celebrating Bold Street event, and we will continue to encourage landlords and tenants to think creatively about how to utilise empty properties better. We are also working closely with our levy payers to support the up-skill of their employees and address the skills gaps in the high street. * MHCLG, ‘Oral Evidence: High Streets and Town Centres in 2030, HC 1010’ (2018).